Peggy Lou Knowles, 85, of Winchester, VA, died Sunday, March 4, 2018 at Winchester Medical Center. Peggy was born May 21, 1932, in Winchester, the daughter of the late Clyde and Leoma Stotler Hoover. She was a dedicated member of the Fraternal Order of the Eagles Club of Winchester for fifty eight years and a member of the Moose Lodge of Winchester. She married William V. Knowles, February 12, 1977 in New Hampshire. He preceded her in death. She is survived by her son, Larry Bennington (Judy) of Star Tannery, VA; grandchildren, Robert Bennington (Brandi) of Winchester, Matthew Bennington, PhD (Katie) of East Hampton, CT, and Kyle Bennington of Clearwater, FL; great grandchildren, Hunter, Kaitlyn and Kennedy; step children, Billy Knowles (Sue) of Dover, NH, Jimmy Knowles (Annette) of Dover, Gina Kirchmaier (Brad) of Harpers Ferry, WV, Kathi Aldarraji (Kenaan) of Barrington, NH and Joe Knowles (Robin) of Fryeburg, ME; her brother Buddy Hoover (Annette) of Boston, VA and sisters, Marie Robinson and Patricia Nichols both of Manassas, VA.
Peggy is preceded in death by her son Keith Bennington and brother Junior Hoover. The family will receive friends Thursday, March 22, 2018 from 2:00-3:00 p.m. at Jones Funeral Home in Winchester, a memorial service will follow at 3:00 p.m. with Pastor Martha Reynolds officiating. In lieu of flowers, memorial contributions may be made to the Fraternal Order of the Eagles Auxiliary #824, 700 Baker Lane, Winchester, VA 22601. 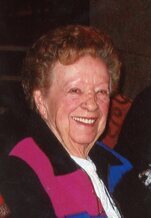 To send flowers to the family of Peggy Lou Knowles (Hoover), please visit our Heartfelt Sympathies Store.